Note 01/03/2014: There has been a wee bit of confusion with a few readers on how to get the pattern so I am making it the link super clear at the top of the post. Please click **HERE** to download the pattern directly. If you would like to go to Ravelry and save it to your library click **HERE** . If you are still having technical issues, please feel free to send me an email at florriemarie@gmail.com and I will get the PDF emailed to you right away. But please try downloading it first. Thank you so much! Please read on if you would like instructions for the optional PomPom. Oh, Hi Steinway Street! Since I was making this hat for myself to replace the one that I had lost, I decided to name it after a place in which I find myself frequently. 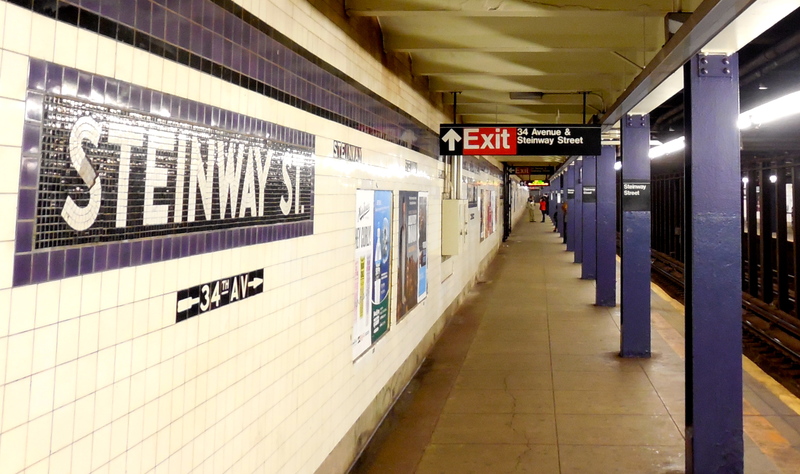 The Steinway St. stop on the R & M line is my little slice of the MTA. Twice a day, five days a week, and sometimes more! The blue of the yarn I used also reminded me of the blue tiles and pillars. 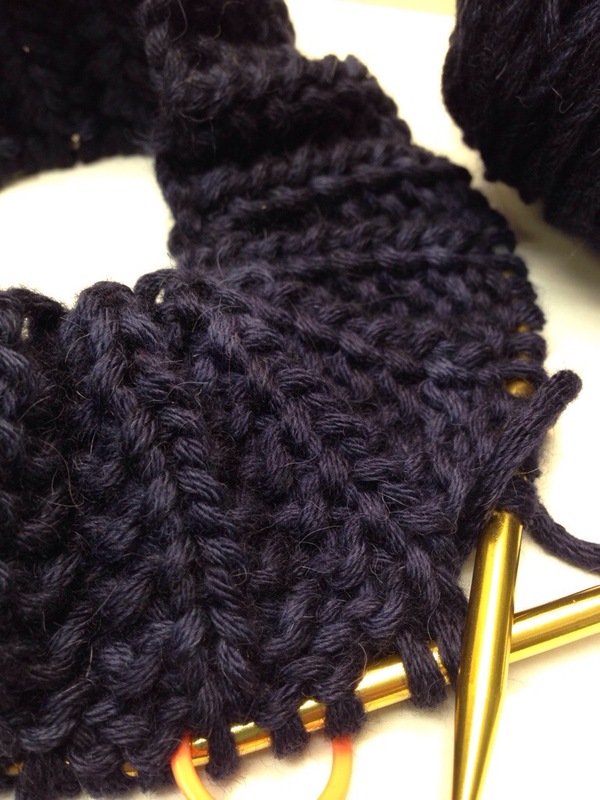 I have long admired the accordion-like ‘Mistake Rib’ stitch. Its squashy, springy, and very forgiving if you can’t get your gauge just right. Its like regular ribbing on steroids. 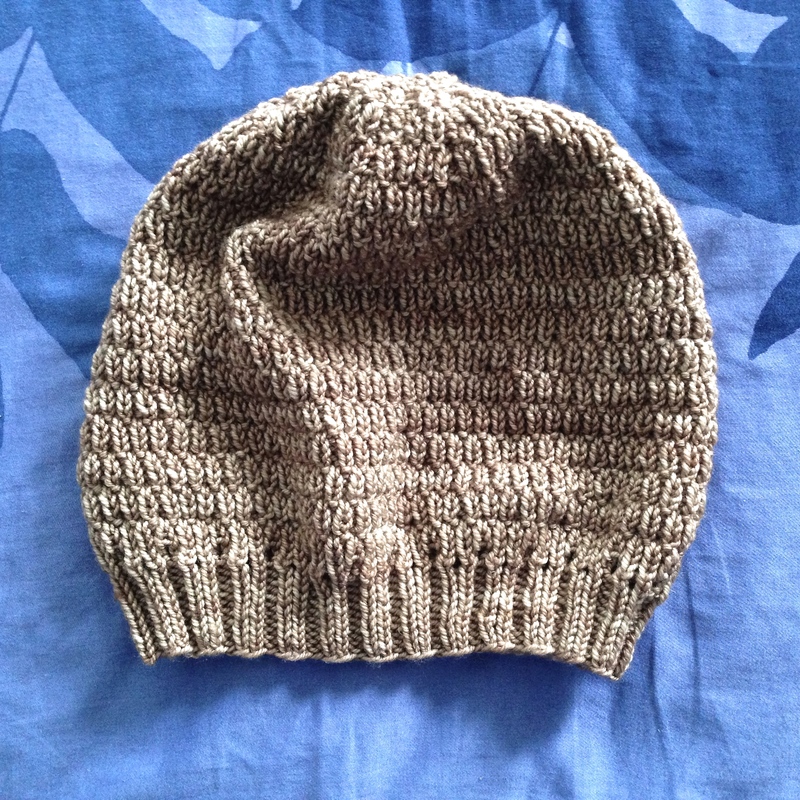 Its super stretchy, and knit in a worsted weight wool its even stretchier. It creates a lovely, thick, warm fabric, with deep valleys and high peaks made by alternating rows of knit, purl and a surprisingly simple combination of each. Excepting the decreases at the crown, the pattern is only two rows. It honestly doesn’t get much easier than that. 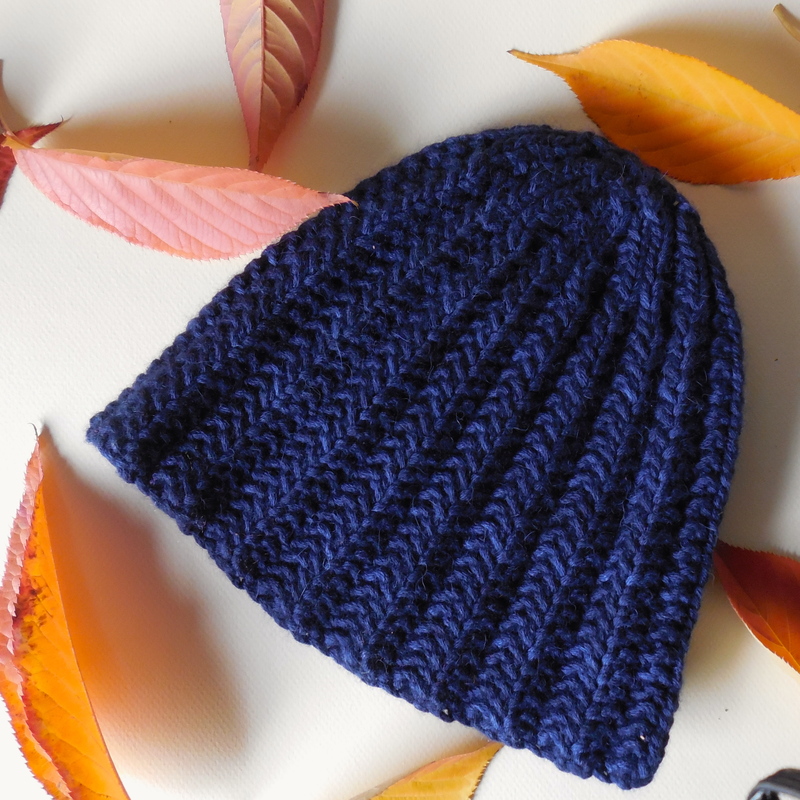 Now that we are getting deeper into November and the winter winds have begun to blow in earnest, a warm squashy hat is something that we all need. Especially me since I had left my old one in a cab! 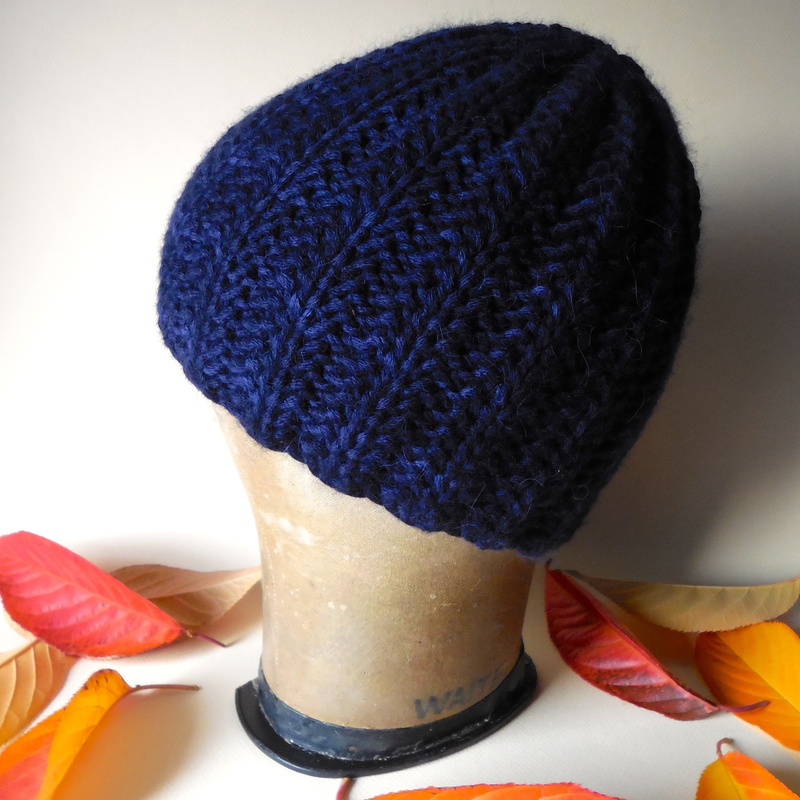 This hat is very versatile because its pretty much unisex. The texture of the ribbing adds interest but its not overtly masculine nor feminine. It can be glammed up with color to make it more bold, or made in a subtler hue for more conservative types. But my favorite part of this pattern? Its got interchangeable… POMPOMS! 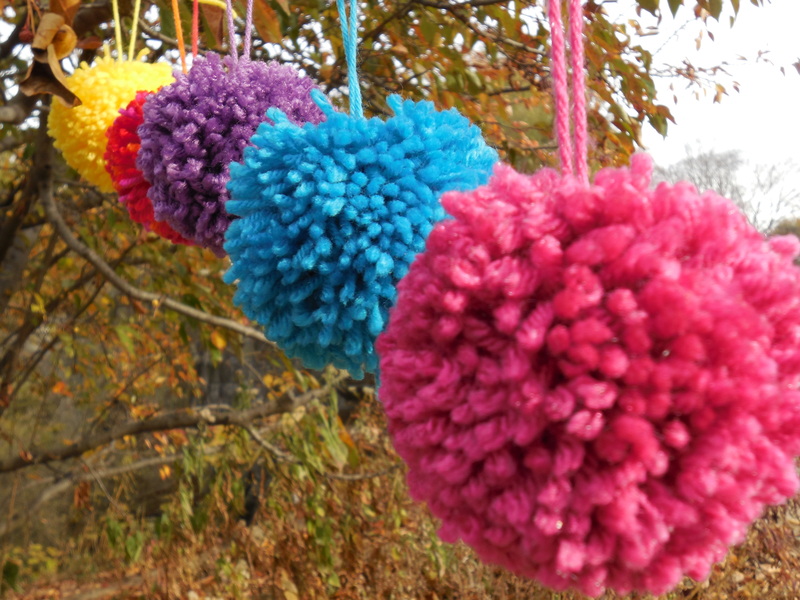 You can make pompoms in whatever color suits your mood, matches your outfit or makes you grin! And when you want to shake things up, changing it out is as easy as opening and closing a safety-pin. 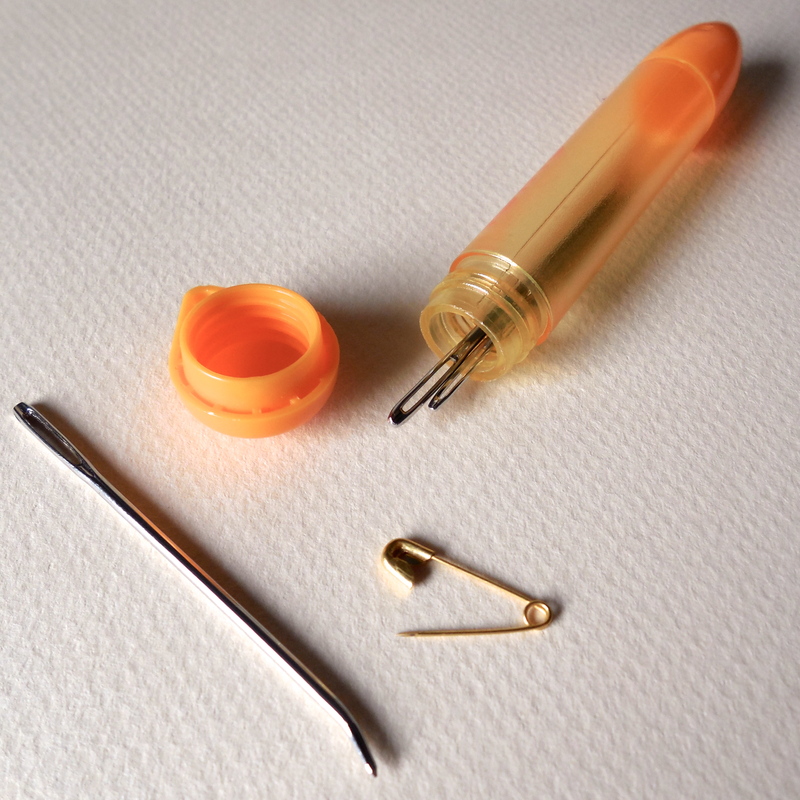 All you need is a darning needle, and a small safety-pin. 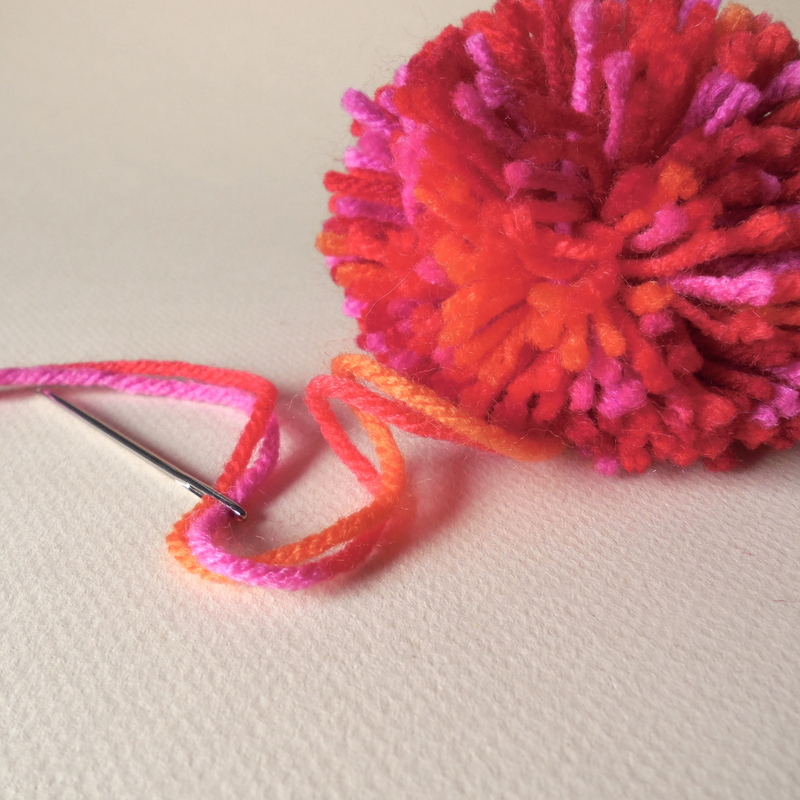 When you make your pompom (I used a clover 65cm pompom maker) and are ready to tie it off, just cut a length of yarn that’s about 12 inches long. After tying it, don’t trim the ends. Instead thread them through a darning needle. 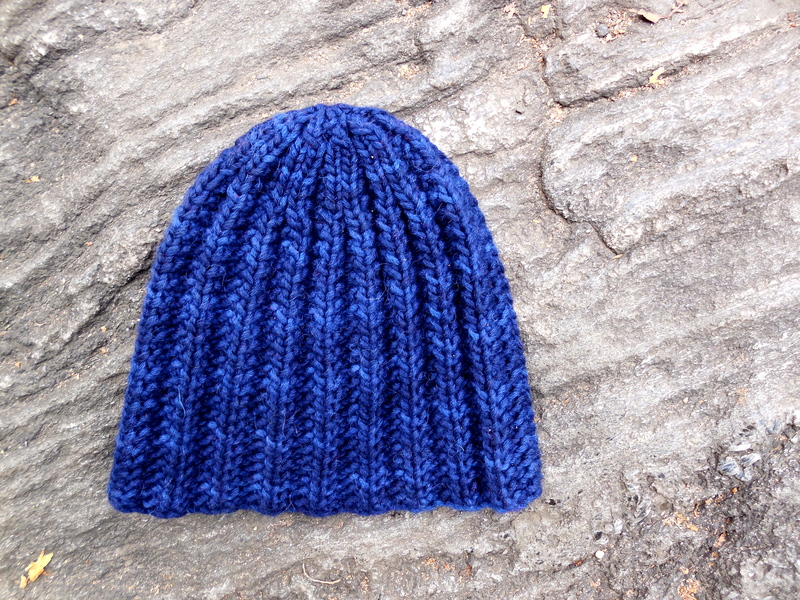 Use the needle to thread those ends through the little hole at the top of the hat. Pull them all the way through and flip your hat inside out. I tie my ends off into a big bow, just the loopy part, I skip the first overhand knot to make it easy to untie later. 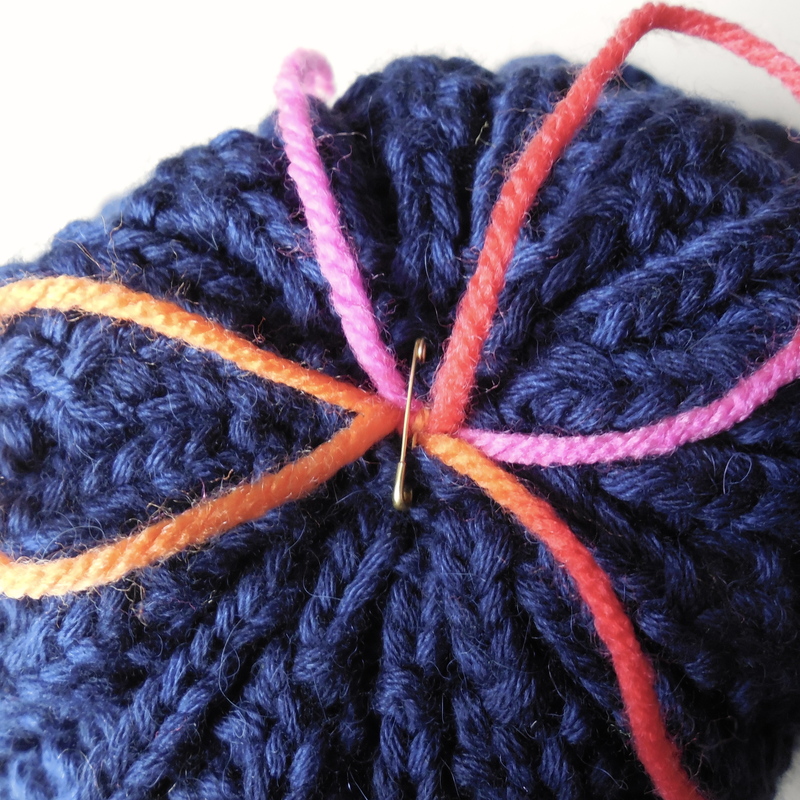 Then I pin the pompom to the hat, making sure I get the pin through both the hat, and through the middle of the knot. You don’t want that baby falling off mid commute. And there it is! 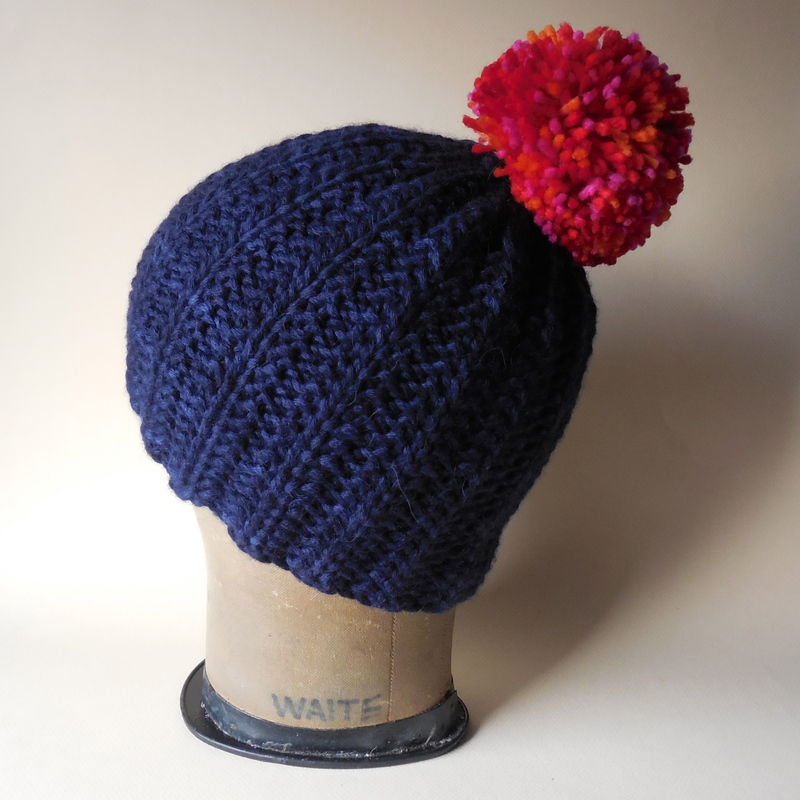 You can pompom it, or wear it plain. 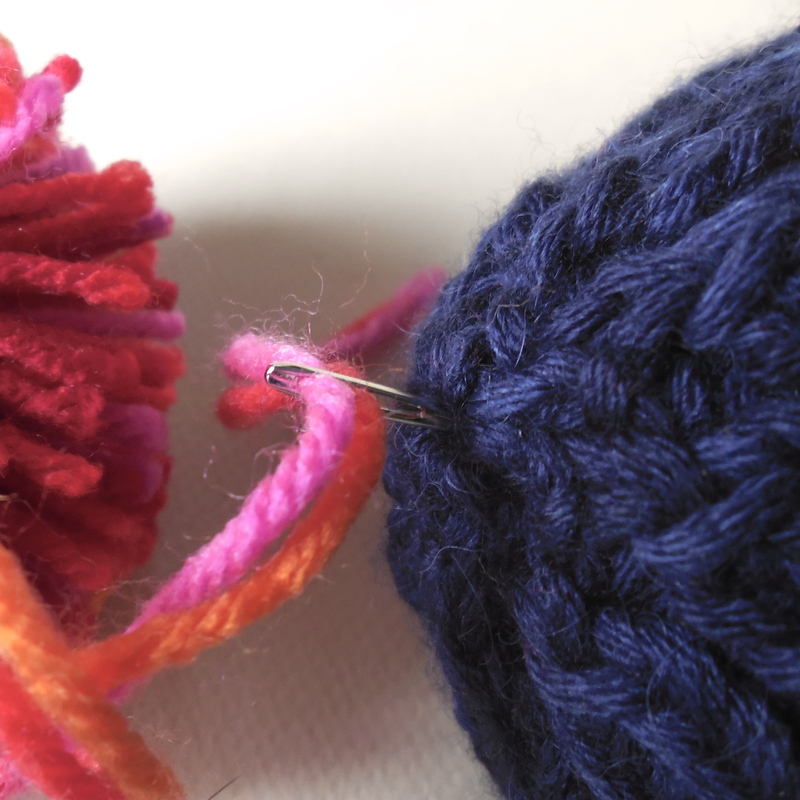 Make matchy pompoms or contrasting pompoms. Big silly pompoms or multiple little ones. Its really entirely up to you. 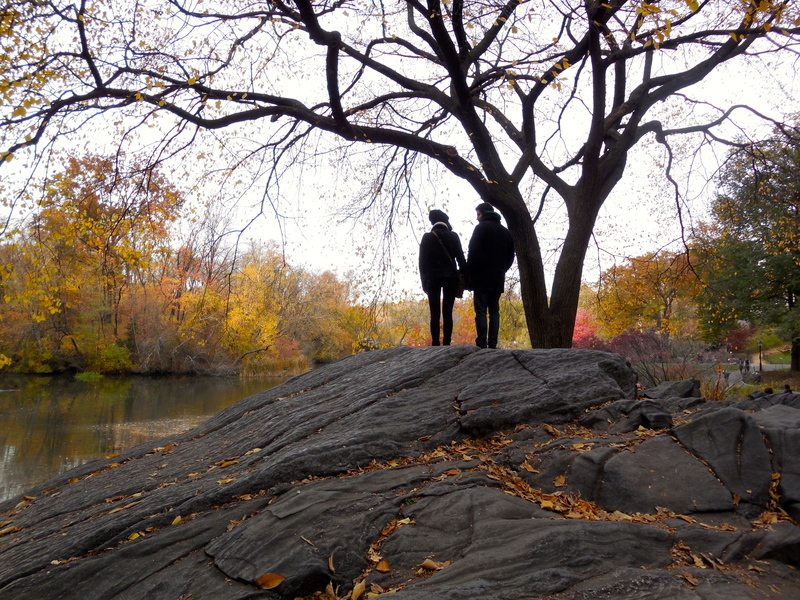 I left one of my favorite hats in a cab two weeks ago when I went to my friend’s wedding in the Bronx. I made it up as I went along in a mistake rib, in a fat and squishy Blue Sky Worsted. Such a sad thing. I really, really loved that hat. It was equal parts simple, pretty and warm. OH! It was soo sooo warm. 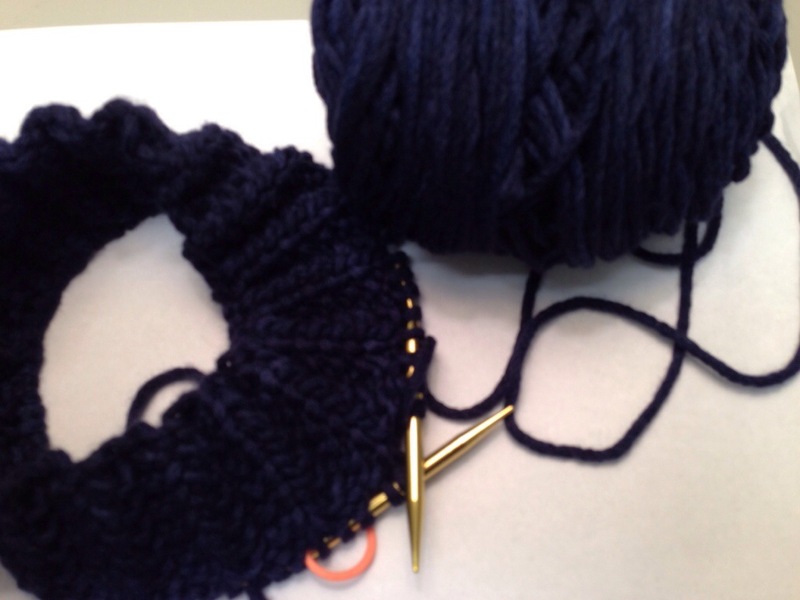 When I came across the same yarn in this beautiful navy blue the other day when I visited Webs in Massachusetts and knew I would re knit it. This time I’m taking notes and I’ll publish it as a free pattern. This worsted wool knits up so quickly, it won’t be long now.